The USPS Bulk Proof of Delivery program gives mailers the ability to receive signature Proof of Delivery records for applicable mail pieces without requesting them individually. With this program, the USPS furnishes the mailer a computerized file of all of their Certified Mail items on a daily or bi-weekly basis. Since the file being sent to the mailer was generated by the USPS, it is an official third party (or disinterested broker) record and may be retained by the sender for as long as they envision a potential need for that record. Since the Bulk Proof of Delivery computer files will show what, if any, Certified Mail pieces were forwarded to a new address, refused, or returned for any reason, the company receiving the daily or bi-weekly computer file can use that information to update their mailing records. Defendants can also request to review the business records retained by the plaintiff to ascertain whether certain items were ever properly served notice by Certified Mail. This enhancement allows mailers to retain records longer than the Postal Service retention period and provides mailers a more efficient way to handle signature records. Peter Wade, was employed by the USPS for 32 years. He served in supervisory and administrative positions with the U S Postal Inspection Service in New York, Los Angeles, Philadelphia, San Francisco, and San Juan. He was also the Postmaster of San Juan PR and Field Division General Manager for the USPS Caribbean District responsible for providing postal services to 4 million customers and supervising 3000 USPS employees. 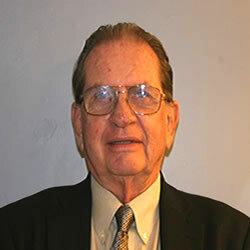 Mr. Wade has been a consultant and expert witness in postal related matters for 19 years. He has advised on numerous postal matters, including the merging of two independent postal services in Argentina. He has offered efficiency improvement and security advice to many business clients of the USPS. He has provided testimony in both civil and criminal proceedings in postal related litigation.